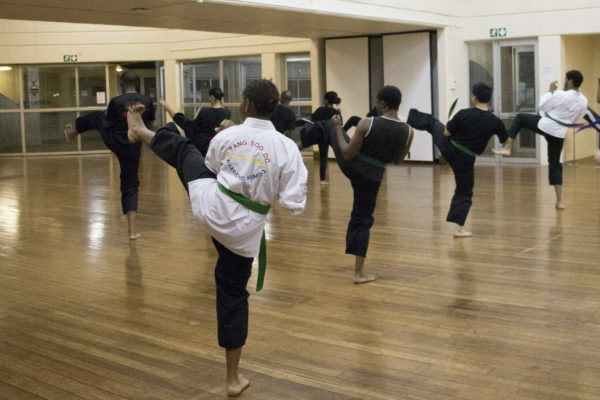 Eight members of the Wits Tang Soo Do club are heading to London to represent South Africa at the World Championships from 4 to 5 August, 2018. Madimetja Malebana, chairperson of the club, told Wits Vuvuzela that 15 students were chosen to represent South Africa in September last year. Only eight are travelling as the club could not raise enough funds for all the students selected. According to Malebana, the process was rigorous and “very critical about who gets to represent South Africa”. Jichandre Sambo, second year computer science, said this is his first time representing South Africa. He says he’s nervous but it’s an honour for him to be travelling to London. “My goal is to represent not myself but my close friends who couldn’t make it even though they qualified,” Sambo said. Second-year mechanical engineering student, Daniel Chen, joined the club last year and is aiming for gold at the championship. “You hope for the best. You want to do your best and achieve your best,” he said. Wits Tang Soo Do instructor, Lindokhule Mbatha, is confident in his students’ abilities and what they will accomplish at the tournament. “I’m sure they’re going to do pretty well,” Mbatha said. The group flew to London on Wednesday, August 1 and will be returning on Friday, August 10.